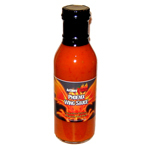 PHOENIX WING SAUCE - We took Buffalo wing sauce and made it better and Thicker! Using cayenne pepper as a base, we kicked it up with parmesan cheese and Anthony Spices. Why did we call it “Phoenix Wing Sauce”… because buffalos don’t have wings. 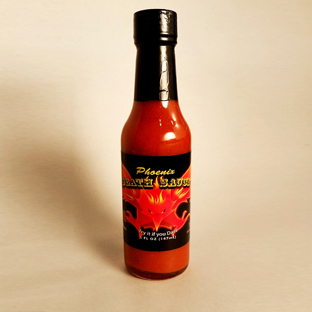 PHOENIX DEATH SAUCE (5 Ounces) - This bottle of Death Sauce has a one of a kind flavor that is matched by no other. What makes it so hot? We start with Bhut Jolokia peppers, also known as the Ghost Pepper (one of the hottest peppers in the world), add some Red Jalapeno Puree and there you have an awesome hot sauce for world. Enjoy! 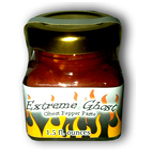 GRIM REAPER HOT SAUCE (5 Ounces) - This is the HOTTEST All-Natural Pepper Hot Sauce you will ever taste. First ingredient is Carolina Reaper Puree and includes Reaper Powder and Reaper Flakes. It just doesn't get any hotter. We have to include this little jem....Disclaimer: Use caution when handling and eating Very HOT peppers. Anthony Spices is not responsible for misuse or abuse of product. Can burn/irritate tongue, fingers, eyes, skin and orifices. Keep away from Children. Enjoy! EXTREME GHOST PEPPER (1.5 Ounces) - This little bottle of Butte Jolokia (Ghost Pepper) packs one heck of a kick. We tamed and bottled one of the hottest peppers in the world in this paste. Goes great in any sauce, stew, chili, soup or anything else you want to light on fire. Use with extreme caution and sparingly. Enjoy! 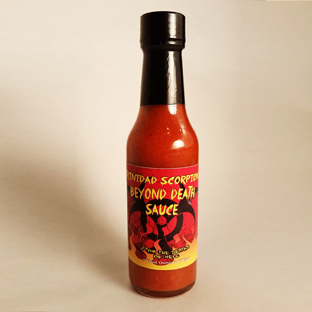 TRINIDAD SCORPION BEYOND DEATH SAUCE (5 Ounces) - If you thought that our Death Sauce was amazing, you have to try our Beyond Death Sauce. An amazing blend of peppers that include the Trinidad Scorpion which is one of the hottest in the world. Enjoy! SWEET DIABLO (5 Ounces) - We use some White Balsamic Vinegar which is aged White Grape Juice for 10 years making it very sweet. The very best from Italy. Then we add some Scorpion and Ghost peppers that makes it seriously hot. It's the best of your sweet tooth and chilehead at the same time. Enjoy!